To experience hanahanahana, the participant applies perfume to a leaf-shaped piece of paper and holds or shakes it in front of the wall. A flower image then appears in each bud-like device. The degree of transparency of the flower changes gradually according to the strength of the floating scent, while color and shape also vary according to the sort of fragrance applied to the paper. Participants can enjoy temporal and spatial variations of floating air with olfactory sensations from the scent, visual sensations from the projection screen, and tactile sensations from the wind. 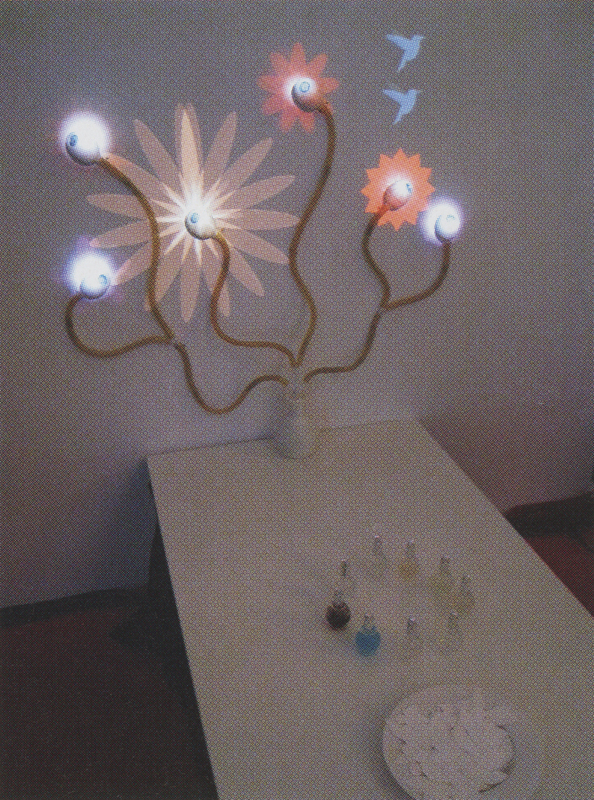 The aim of this project is to seek the possibilities of expression through scent information. hanahanahana is an interactive installation that enables the real-time visualization of a scent flow in ambient air. More concretely, this system visualizes temporal and spatial variations of flowing air by projecting images on space according to scent distribution data. 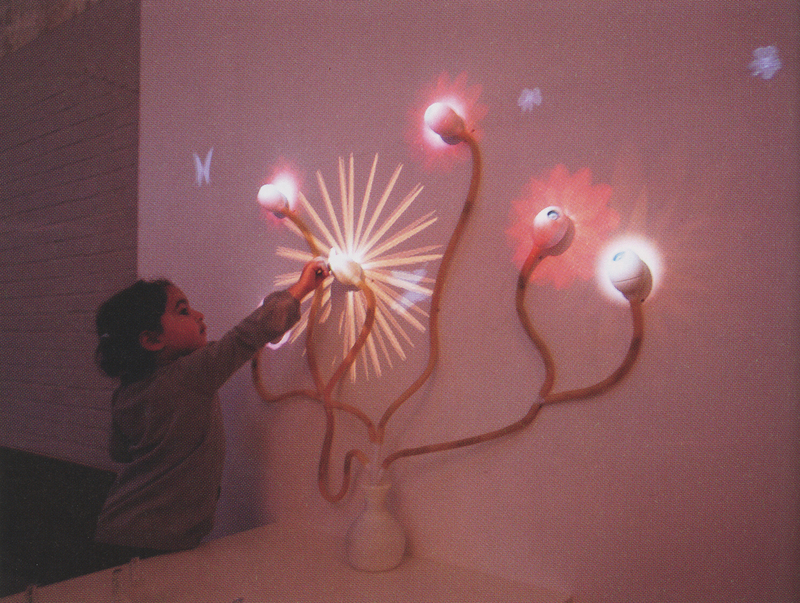 From the perspective of Touch Point, hanahanahana offers a novel interaction design chat engages multiple senses. A previous version of this piece was presented as a poster at SIGGRAPH 2007. 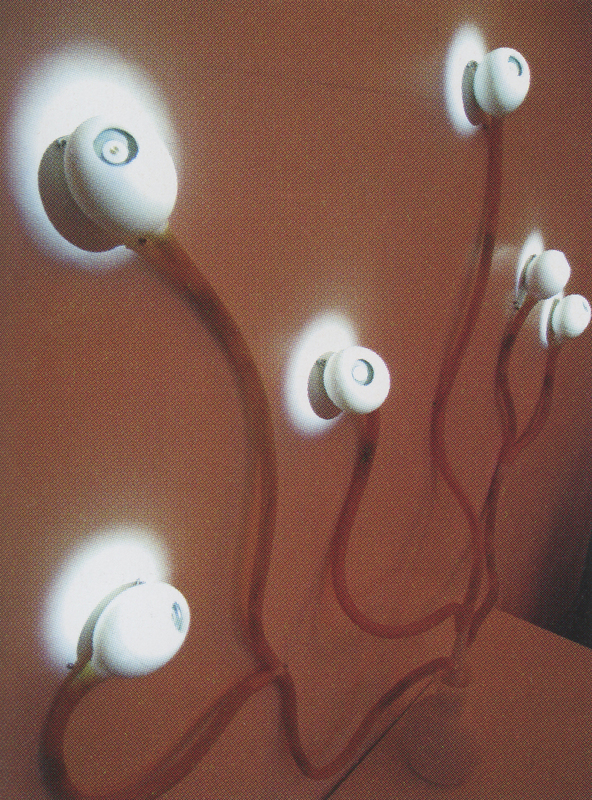 While the system originally used only one sensor device, the current version of hanahanahana involves multiple devices shaped like buds attached on several points of a wall to visualize the spatial spread of the scent. Technically, each device can separately detect the magnitude and the variation of the ambient scent in real time with the aid of several gas sensors.